Wild yaks usually are found in herds of between ten and thirty animals. They have dense, close, matted under-hair as well as shaggy outer hair. Yaks secrete a special sticky substance in their sweat which helps keep their under-hair matted and acts as extra insulation. This secretion is used in traditional Nepalese medicine. 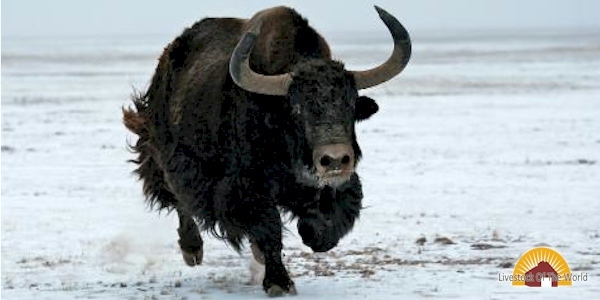 Many wild yaks are killed for food by hunters in China and are now a vulnerable species.